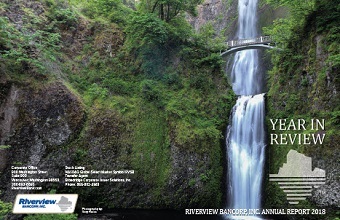 Riverview Bancorp, Inc. is headquartered in Vancouver, Washington – just north of Portland, Oregon on the I-5 corridor. It is the parent company of the 95 year-old Riverview Community Bank, as well as the Riverview Trust Company. The Bank offers true community banking services, focusing on providing the highest quality service and financial products to commercial and retail customers. There are 18 branches, including 14 in the Portland-Vancouver area and three lending centers. For the past 5 years, Riverview has been named Best Bank by the readers of The Vancouver Business Journal, The Columbian and The Gresham Outlook.